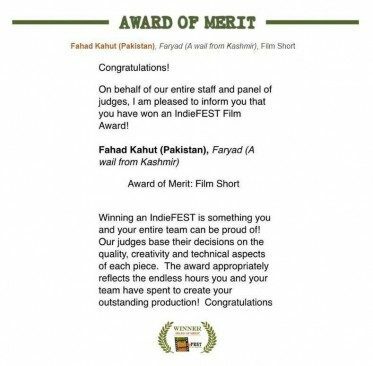 Fahad Kahut has received the award for his short film titled as “Faryad” which shows the violence and torture currently taking place in Kashmir. 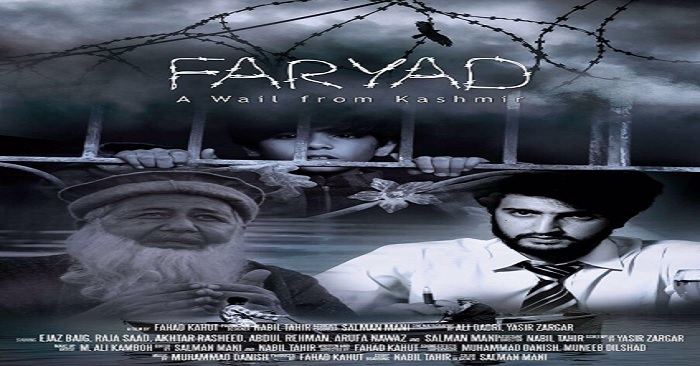 The story line of the movie is very strong and is basically about a journalist who is working in the favor of the people of Kashmir and the government is very much against him and his grandfather. The budget of the film is not that high. According to the Rick Prickett the chairperson of IndieFest Film Awards, it is not an easy award to achieve. For achieving this award the film makers have to be really creative and multi- talented. So this proves that Fahad Kahut movie “Faryad” is an exceptional work.